Not all girls follow in their father’s footsteps, but Amanda Matusek is not one of them. Her father and her father’s father (grandpa to Amanda) were both drag racers, so it was just a natural progression for her to get behind the wheel and give it a try. “I will always remember Grandpa being in the garage working on the Maverick when we went to visit them in Pittsburg” Amanda stated. “And, later, when we got into juniors, he loved going racing with us and giving us driving advice.” Unfortunately, John “Hunky John” Matusek only recently passed away. Amanda is lucky to have so many great memories to remember him by. 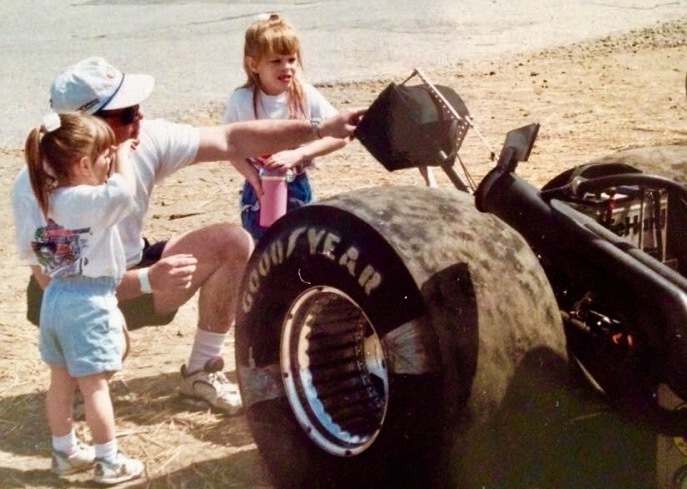 Amanda’s Dad Steve Matusek co-founded Aeromotive when she was just five year’s old, so she has been part of the business practically her whole life. She began racing Juniors when she was 15, and made it to the Western Conference Finals in Denver that year. In 2008 she moved up to race a Cobra Jet, continuing to go to as many Division 5 Divisional races as she could all the way through college. It of course took numerous jobs to keep things going, but she really learned by going to the track how competitive she actually was. When a position opened for a Sales and Marketing coordinator at Aeromotive, she jumped at the chance to fill the role, and really enjoys the position. “I do a lot of behind the scenes work to keep our brand visible to not only the consumer, through all of our social media channels, but also to the trade as well by maintaining data within the SEMA Data Coop. And in her spare time, she’s finishing up her MBA, knowing that whatever the future holds, it will be somehere within the Automotive Aftermarket. “I really enjoy the position I hold here, and the opportunity to work with so many employees that are all passionate about the “Big A”! she concluded.